Thomas Cook Sport has been unveiled as Preferred Travel Supplier for Saracens. Thomas Cook Sport will become the club’s Team Travel supplier for the Senior Squad as well as Supporter Travel, for the next three seasons. Thomas Cook Sport will be offering official supporter travel breaks to Saracens European away fixtures and will be developing a range of exclusive offers to Saracens for their existing Sports Travel Breaks portfolio. Head of Thomas Cook Sport, Rob Slawson, said: “Saracens have proved themselves as a top side in the English & European game in the last few seasons, their Premiership win in 2015/16 followed by two back to back European titles is a truly incredible feat and we’re delighted to add them to our growing Rugby Union & Team Travel portfolio. CEO of Saracens, Mitesh Velani, said: “On behalf of everyone here at Saracens we are delighted to announce Thomas Cook Sport as our Preferred Travel Supplier. Thomas Cook Sport are a leader in sports travel for both professional sporting organisations and fans so it’s great to have them on board as we begin another exciting season both at home and abroad. As well as delivering travel solutions for professional sports clubs, Thomas Cook Sport has a long history of providing Sports Travel breaks including full tours for the recent British and Irish Lions tour in New Zealand and forthcoming Ashes series. Closer to home hospitality packages for the upcoming 2017 Autumn Internationals at Twickenham are now on sale and fans can also register their interest in ticket and hotel breaks for the 2018 RBS Six Nations. Click on the issue to subscribe and receive your digital copy direct to your email. 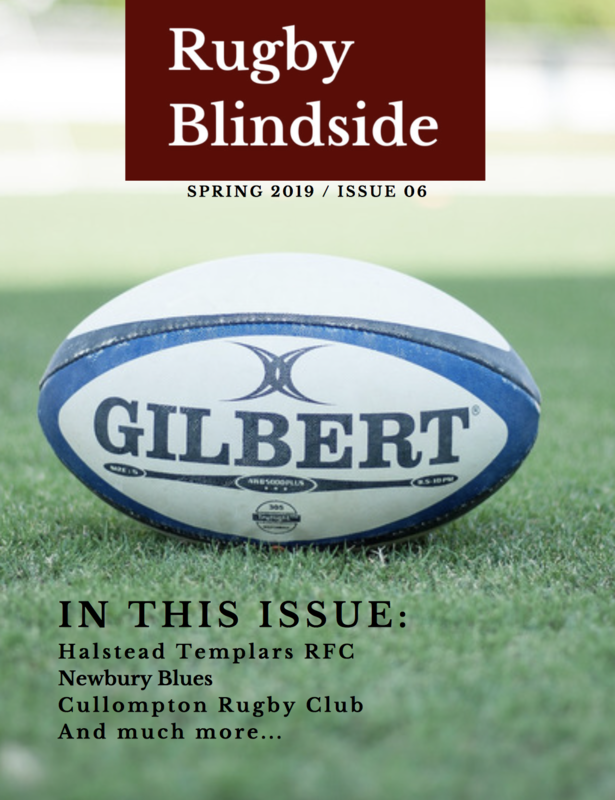 Order your print copy of the spring 2019 issue of the Rugby Blindside newsletter. P&P included.